Constituents: emodin, magnesium, nepodin, oxalic acid, selenium, silicon, sodium, tannins. Yellow dock as been known as a medicinal plant since ancient times and is used in traditional medicine as a gentle laxative or mild astringent tonic. 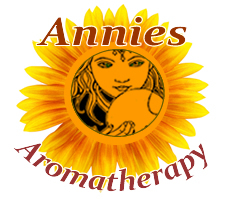 It encourages both bowel movement and good digestion by stimulating the release of gastric juices. An ointment of yellow dock is valuable for eruptive skin conditions that cause itching, sores, and scabby skin lesions. Preparation Methods & Dosage :In TCM, dock root is not boiled, as most roots are. Instead the chopped root is placed in a cup, and boiling water is poured over the roots. Cover and let steep for 30 min. Strain, reheat and drink. Dosing is dependent on the individuals needs. In the Kitchen: The early green leaves of dock may be steamed and serves as a green. They have a pleasant lemony flavor, seasoned with garlic and olive oil. Dock leaves are rich in Vitamins A and C and contain more carotene than carrots. 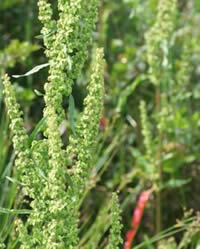 Traditional Chinese Medicine In China yellow dock, Rumex crispus is called Chin-Choa-Mai. A tea made from the root is famous in Chinese medicine as a treatment for chronic constipation. Plant Class:Perennial plant. The mature plant is a reddish brown colour, and produces a stalk that grows to about 1 to 3 feet high. Gather dock roots in the fall after the seeds mature. If you cultivate dock in your garden, it will need a deep, porous garden bed. Like dandelion greens, dock leaves are only tasty when young and green. All Docks are under Jupiter, of which the Red Dock, which is commonly called Bloodwort, cleanseth the blood and strengthens the liver, but the Yellow Dock root is best to be taken when either the blood or liver is affected by choler. All of them have a kind of cooling, drying quality: the Sorrel being most cool and the Bloodworts most drying.